The $130 Kobo Aura Edition 2 e-reader is an odd duck. 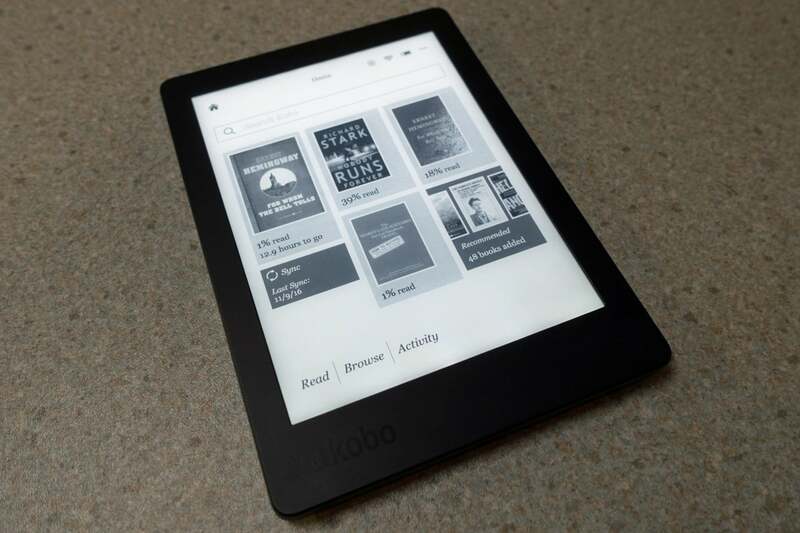 It occupies the mid-point in the Kobo product line, and it boasts such desirable features as backlighting, long battery life, and the ability to open a diverse array of file types. But a number of e-readers, including the Kobo Glo HD, deliver many of the same features—plus higher resolution—for nearly the same price. Measuring 6.26 x 4.45 x 0.33 inches, the Kobo Aura Edition 2 boasts lightly smaller dimensions than the 2015 iteration of Amazon’s Kindle Paperwhite. It’s lighter than the Paperwhite, too, weighing 6.35 ounces versus 7.5 ounces. This, along with its grippy, textured back, makes holding the Kobo Aura Edition 2 more comfortable for extended reading sessions. There is a drawback to that smaller size, however; the bezel around its display is atypically shallow, so I found myself accidentally turning pages when my thumb would drift over to its touch-sensitive display. That’s irritating. The Edition 2’s display is adequate, but it is neither as bright nor as legible as other similarly priced e-readers. The 212 ppi resolution isn’t impressive either. It’s considerably lower than the top-shelf Kobo Aura One and the Kobo Glo HD, which costs just $10 more. Those e-readers boast 300 ppi resolution, as do all three of Amazon’s best Kindles. 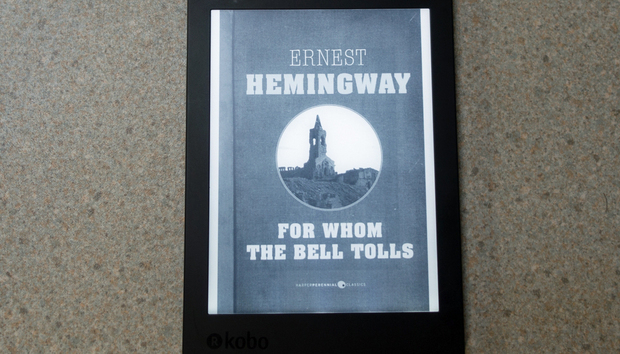 I read Earnest Hemingway’s For Whom The Bell Tolls on both the Aura Edition 2 and the 2015 Kindle Paperwhite, and while I didn’t experience eyestrain after reading the Kobo, I couldn’t get past how poor the Edition 2’s text looked in comparison to Amazon’s e-reader. The Paperwhite’s page transitions seem smoother, too. I haven’t liked any of the Kobo’s backlights, which render text murky when they’re cranked up. It’s almost like reading through a film. The Kobo Aura Edition 2’s backlight is much brighter at maximum brightness than the Paperwhite’s at its max, but there’s not much of a difference at the lower levels that most people will actually use. The Kobo Aura Edition 2 provides 4GB of internal storage; unlike some of the other Kobo models, there’s no microSD card slot that would allow you to add to that. Still, the only time that might be a concern is if your reading habits entail loading up on larger files, such as PDFs. Like the rest of the Kobo, this model can read a broad range of document types, including CBR, CBZ, EPUB, EPUB3, HTML, MOBI, PDF, RTF, and TXT, as well as BMP, GIF, JPEG, PNG, and TIFF image files. Just don’t expect this e-reader to render them quickly, particularly if you’re reading graphics-laden PDFs or examining high-resolution JPEGs. Flipping through such pages can be a lag-filled nightmare. Oh well, at least you won’t have to worry about the battery conking out mid session, it’s rated to last up to two months with moderate use. I’ve found this estimate to be accurate. 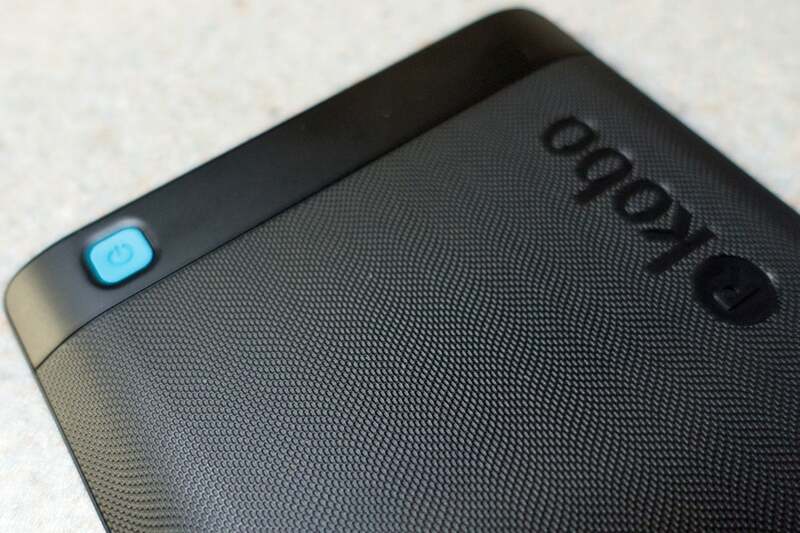 The Kobo Aura Edition 2’s power button is tucked up in the corner of the device’s textured plastic back plate. But here’s the thing: at $120, the Kobo Aura Edition 2 costs almost as much as an ad-free Kindle Paperwhite, which delivers a higher-resolution display. If you’re not in love with the idea of owning an Amazon device, the Kobo Glo HD is a much better value than the Kobo Aura Edition 2. Buy it instead.